Article first published as DVD Review: Laila (1929) on Blogcritics. Technically stunning if not narratively so, 1929’s Laila — proclaimed as the crowning achievement of Norwegian silent cinema — is now available in a superb DVD edition from Flicker Alley. Beautifully restored by the Norwegian Film Institute in conjunction with Turner Classic Movies, Laila is an adaptation of the novel by J.A. 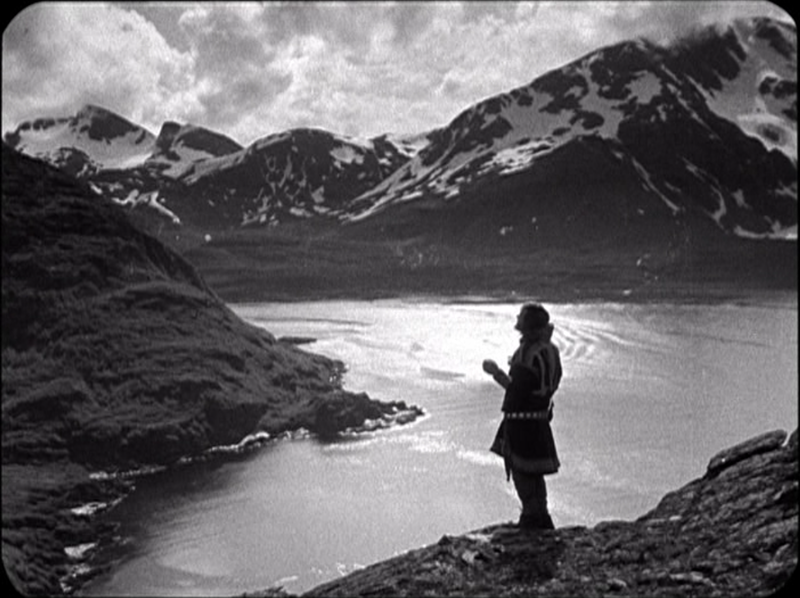 Friis and is directed by George Schnéevoigt, the cinematographer for some of Carl Theodor Dreyer’s early films. 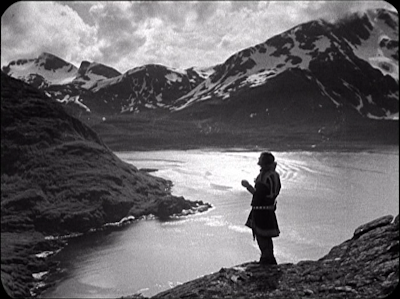 Although the film seems a little too bound to novelistic convention (particularly in what essentially amounts to an hour-long prologue where time could’ve been more significantly elided), the on-location photography is nothing short of amazing, with wolf attacks, sled chases and waterfall rescues taking place against expansive mountaintop vistas. The film also features the captivating presence of Mona Mårtenson, who plays the titular character with a fresh-faced enthusiasm. She’s not around for the first hour though, as we see the baby Laila get packed up by her Norwegian parents to get baptized, lost in the travel due to a marauding band of wolves and subsequently discovered by nomadic reindeer herders. Some plot machinations ensure that Laila is returned to her parents a year later, but the outbreak of the plague necessitates her return to her nomadic foster family, where she’s especially beloved by Jåmpa (Tryggve Larssen), who first discovered her in the snow. The film moves forward 20 years, and Laila is expected to marry Mellet (Henry Gleditsch), her foster brother who she’s grown up with, but a trip to town ignites her interest in Anders (Harald Schwenzen), actually her cousin in real life. There’s an undercurrent of racial tension between the Norwegian people (referred to here as “daro”) and the lapps, an indigenous people, and the prospect of a pairing between Laila and Anders is all but unthinkable, due to her perceived status as a lapp. This element of prejudice doesn’t add much to the star-crossed lovers plotline of the film, but the plot does allow for moments of daring excitement like a near-fatal boat ride and elemental heartbreak as when Laila assumes she is being shunned by Anders at their mountaintop rendezvous. Laila owes a lot to its visually striking locations, but there’s certainly something to be said for Schnéevoigt’s dynamic staging of action sequences. At nearly two and a half hours, the film does have its moments of epic fatigue, but its rousingly adventurous more often than not. The DVD of the film features a new, Grieg-inspired piano score by Robert Israel, and compiles a gallery of publicity materials and cast and crew information on the disc. The package also includes a booklet with a comprehensive essay by Casper Tybjerg, diary entries by Larssen from during production and a note by Israel on his score.